Carrie Lane Chapman Catt—an Iowa State University alumna who devoted most of her life to the expansion of women’s rights around the world as well as international peace—is recognized as one of the key leaders of the American women’s suffrage movement. Her superb oratory and organizational skills led to ratification of the 19th Amendment to the U.S. Constitution granting women the right to vote in August 1920. Catt entered Iowa Agricultural College (now Iowa State University) in Ames, Iowa, in 1877 and completed a bachelor's degree in general science in 1880, the only woman in her graduating class. At the time, the college's academic year ran from the spring through the fall, so Catt completed her degree in four years, not three years as is sometimes reported. Also, some biographies mistakenly state that Catt was valedictorian of her class. The college did not recognize valedictorians at that time and while Catt was a good student, there is no official information on her rank in the class. * While at Iowa State, Catt established military drills for women and became the first female student to give an oration before a debating society. She worked her way through school by washing dishes, teaching and serving as a librarian’s assistant. She also was a member of Pi Beta Phi fraternity. After graduation, Catt returned to Charles City to work as a law clerk and, in nearby Mason City, as a school teacher and principal. In 1883, at the age of 24, she was appointed Mason City school superintendent, one of the first women to hold such a position. In February 1885, she married Leo Chapman, publisher and editor of the Mason City Republican newspaper, at her parents’ Charles City farm. Chapman died of typhoid fever the following year in San Francisco, Calif., where he had gone to seek new employment. Arriving just a few days after her husband’s death, the young widow decided to remain in San Francisco, where she where she canvassed for ads and wrote freelance articles. In 1887, Catt returned to Iowa to begin her crusade for women’s suffrage. She joined the Iowa Woman Suffrage Association, organized suffrage events throughout the state, and worked as a professional lecturer and writer. In June 1890, she married wealthy engineer George W. Catt, whom she had first met in college at Iowa State and later during her time in San Francisco. He supported his wife’s suffrage work both financially and personally, believing that his role in the marriage was to earn their living and hers was to reform society. They had no children. During this time, Catt also became active in the newly formed National American Woman Suffrage Association (NAWSA). She was a delegate to its national convention in 1890, became head of field organizing in 1895 and was elected to succeed Susan B. Anthony as president in 1900. She continued to give speeches, plan campaigns, organize women and gain political expertise. Catt’s organizational, speaking and writing skills established her reputation as a leading suffragist. Under Catt’s leadership, several key states—including New York in 1917—approved women’s suffrage. In 1918, President Woodrow Wilson converted to the cause of suffrage and supported a national constitutional amendment. Tireless lobbying by Catt and other suffragists, first in Congress and then in state legislatures, finally produced a ratified 19th Amendment to the U.S. Constitution on August 26, 1920. In 1919, Catt proposed the creation of a nonpartisan educational organization for women voters and on February 14, 1920—six months before the 19th Amendment was ratified—the national League of Women Voters (LWV) was organized in Chicago, IL. She was honorary president of the LWV for the rest of her life. The LWV remains active today and is frequently a training ground for women who later compete for electoral office. In 1923, Catt published “Woman Suffrage and Politics: The Inner Story of the Suffrage Movement” with Nettie R. Schuler. 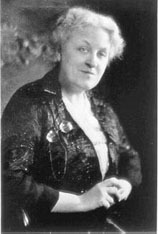 In addition to her suffrage work, Catt was active in several other causes, including international peace. In January 1915, after the outbreak of World War I, she joined with Jane Addams to organize the Women’s Peace Party. In 1925, Catt founded the Committee on the Cause and Cure of War and served as chair of the organization until 1932 and thereafter as honorary chair. She supported the League of Nations after World War I and the United Nations after World War II. Between the wars, she worked for Jewish refugee relief efforts and child labor protection laws. On March 9, 1947, Catt died of heart failure at her home in New Rochelle, N.Y., where she had moved after her second husband’s death. She donated her entire estate to her alma mater, Iowa State, where, in 1921, she was the first woman to deliver a commencement address at the university. She also delivered the commencement address at Iowa State in 1930. Catt attained recognition for her work both during and after her lifetime. In 1926, she was featured on the cover of Time magazine and, in 1930, she received the Pictorial Review Award for her international disarmament work. In 1941, Catt received the Chi Omega award at the White House from her longtime friend Eleanor Roosevelt. She was inducted into the Iowa Women’s Hall of Fame in 1975 and into the National Women’s Hall of Fame in 1982. In 1992, Catt was named one of the 10 most important women of the century by the Iowa Centennial Memorial Foundation. At Iowa State, the Carrie Chapman Catt Center for Women and Politics was founded in her honor in 1992 and the Old Botany building on central campus was renovated and renamed Carrie Chapman Catt Hall in 1995. In the 72-year campaign to win women the right to vote in the United States, several generations of women contributed to the cause. Catt stands out for her superb organizational and oratory skills, which over the span of 33 years, helped unite efforts to work with both major political parties at the state and national levels to achieve women’s suffrage. *Source: Office of the Registrar, Iowa State University (2013, September 10). Carrie Chapman Catt (1917). Votes for All: A Symposium. The Crisis 15(1). 1859 - Born January 9 to Lucius and Maria (Clinton) Lane in Ripon, Wis.
1866 - Moves with family to Charles City, Iowa. 1877 - Enters Iowa Agricultural College (now Iowa State University) in Ames, Iowa. 1880 - Graduates with a Bachelor of Science degree in general science course for women as the only woman in her class. 1883 - Becomes Superintendent of Schools in Mason City, Iowa, one of the first women to hold such a position. 1885 - Marries Mason City newspaper editor and publisher Leo Chapman in February. 1886 - Leo Chapman dies of typhoid fever in San Francisco, Calif. Remains in San Francisco, canvassing for ads and writing freelance articles. 1887 - Moves back to Iowa and joins Iowa Woman Suffrage Association. 1890 - Marries engineer and Iowa State classmate George W. Catt in June. Delegate to National American Woman Suffrage Association national convention. 1900 - Succeeds Susan B. Anthony as president of the National American Woman Suffrage Association. 1904 - Establishes the International Woman Suffrage Alliance and serves as president. Resigns as president of the National American Woman Suffrage Association to take care of her ailing husband. 1905 - George Catt dies in October. 1911-12 - World tour promoting woman suffrage and international peace. Visits Norway, Sweden, South Africa (meets with Gandhi), Egypt, Ceylon, India, Hong Kong, the Philippines and China. 1915 - Returns to the United States and resumes leadership of the National American Woman Suffrage Association. Organizes Women’s Peace Party with Jane Addams. 1916 - Proposes “Winning Plan” to campaign for suffrage on both state and federal levels. 1919 - U.S. House of Representatives passes suffrage amendment on May 21. U.S. Senate passes suffrage amendment on June 4. Continues to work to ensure ratification of 19th Amendment by 36 of 48 state legislatures. Proposes creation of nonpartisan educational organization for women voters. 1920 - League of Women Voters founded on February 14. Tennessee becomes 36th state to ratify suffrage amendment on August 18. U.S. Secretary of State certifies ratification of 19th Amendment on August 26. 1921 - Becomes the first woman to deliver a commencement address at Iowa State. 1923 - Co-authors “Woman Suffrage and Politics: The Inner Story of the Suffrage Movement.” Retires as president of the International Woman Suffrage Alliance and made honorary chair. 1925 - Forms the Committee on the Cause and Cure of War and serves as its chair. 1926 - Featured on the cover of Time magazine. 1930 - Delivers commencement address at Iowa State. Receives Pictorial Review Award for her international disarmament work. 1932 - Resigns as chair of the Committee on the Cause and Cure of War and becomes honorary chair. 1941 - Receives the Chi Omega Award at the White House from longtime friend Eleanor Roosevelt. 1947 - Dies at her home in New Rochelle, N.Y., on March 9. 1975 - Becomes one of the first inductees into the Iowa Women’s Hall of Fame. 1982 - Inducted into the National Women’s Hall of Fame. 1992 - Named one of the 10 most important women of the century by the Iowa Centennial Memorial Foundation and presented with its Iowa Award for service of nationwide importance. Carrie Chapman Catt Center for Women and Politics established at Iowa State University. 1995 - Dedication of newly renovated Carrie Chapman Catt Hall, formerly Old Botany, at Iowa State University. 2013 - One of the first four women to be honored on the Iowa Women of Achievement Bridge in Des Moines, Iowa. Fowler, R. B. (1986). Carrie Chapman Catt: Feminist Politician. Boston: Northeastern University Press. Peck, M. G. (1947). Carrie Chapman Catt: A Biography. New York: The H.W. Wilson Co.
Van Voris, J. (1987). 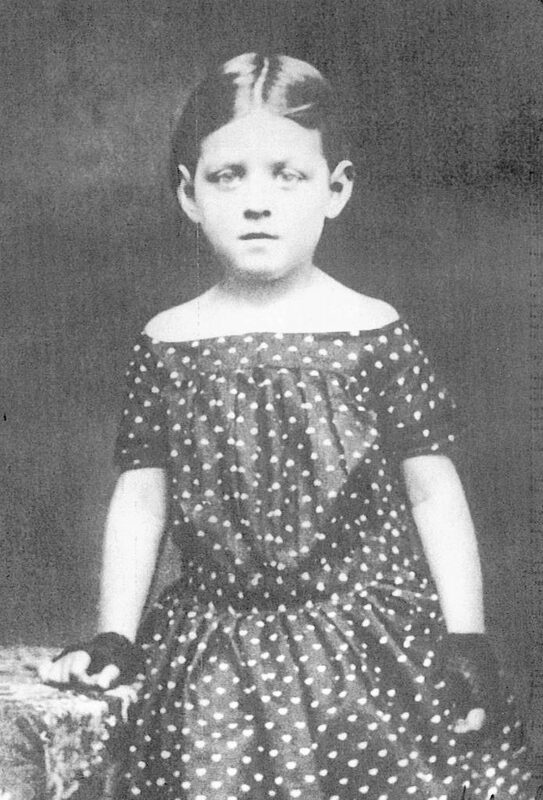 Carrie Chapman Catt: A Public Life. New York: Feminist Press at the City University of New York.